If you have an existing LLC and want to register to do business elsewhere, you will need to form a foreign LLC in that state. 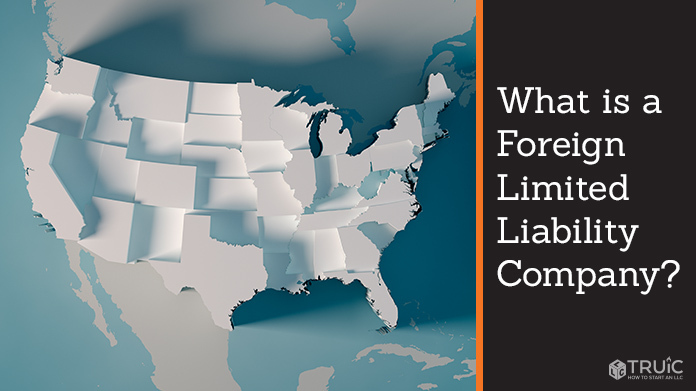 When an LLC expands beyond state lines, it is considered “foreign” by all states except the one it was founded in. It is important to register as a “foreign LLC” in any new states you conduct business in. Failure to do so can lead to piercing your corporate veil, incurring financial penalties, and voiding of important legal contracts. We recommend consulting a lawyer about particular circumstances or specific state requirements for registering your foreign Limited Liability Company. A domestic LLC just refers to any LLC that operates within the state of its founding. Foreign LLCs are typically subject to the same fees and taxes as Domestic LLCs. For that reason, we recommend not registering your business in any more states than you need to. While there is plenty of hype about founding your business in states like Delaware or Wyoming, this will just lead you to pay an extra set of maintenance fees. Form Your Foreign Limited Liability Company? If you are ready to register your Foreign LLC, we will direct you to the documents you need to file. Select your state below, and follow any instructions we provide. *If you have not first filed a domestic LLC please visit our: How to Form an LLC Page.